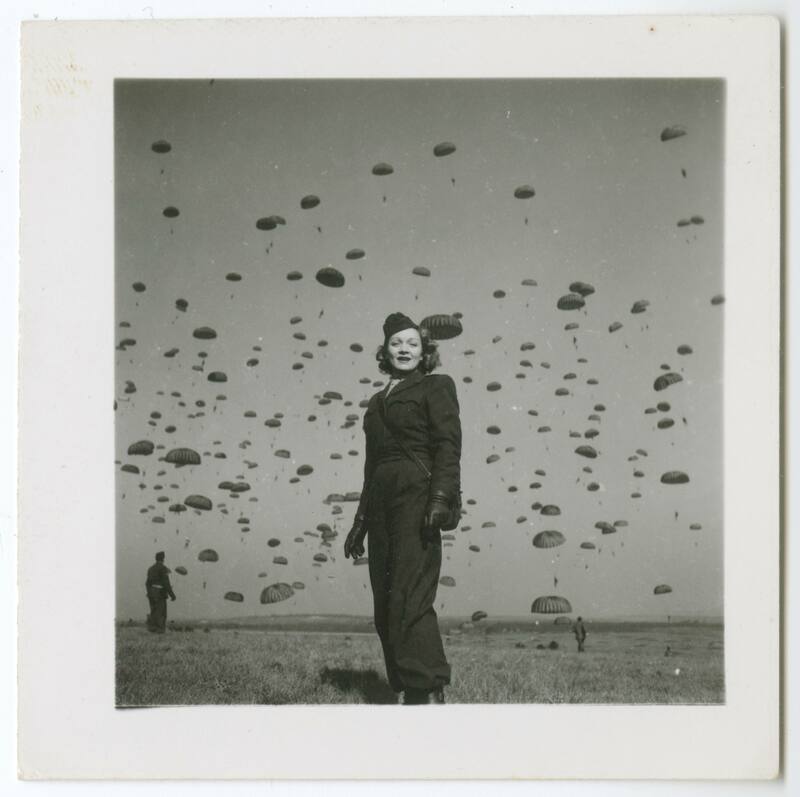 Please contact us prior to your visit to determine the availability of access to our archives. 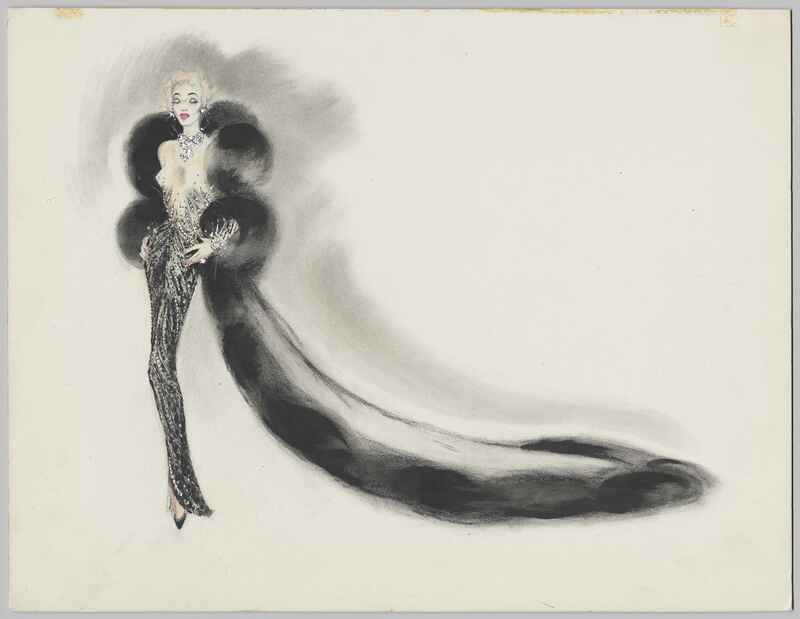 Marlene Dietrich's artistic estate, acquired in 1993, is among the most notable elements of the Deutsche Kinemathek's Archives. 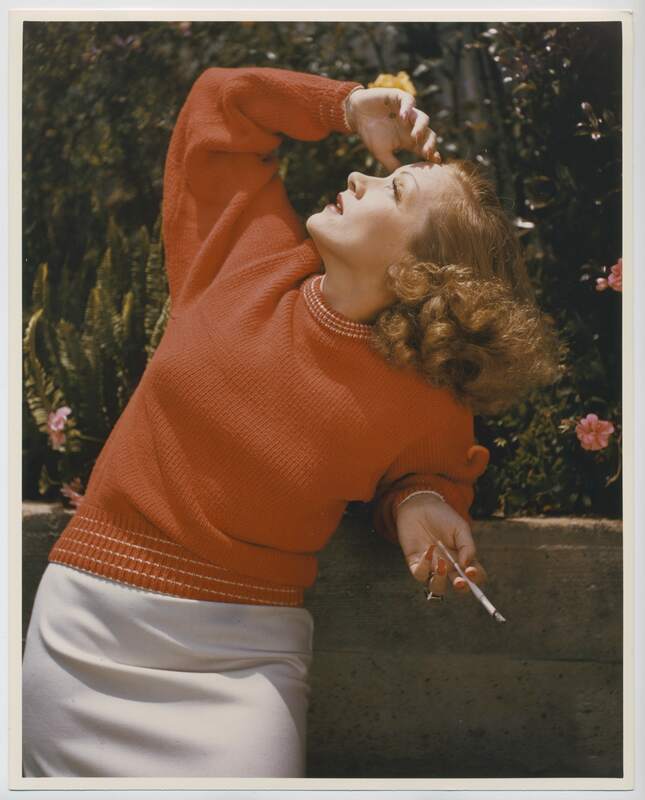 The extensive collection provides nearly gapless documentation of the actress and singer's life and career. 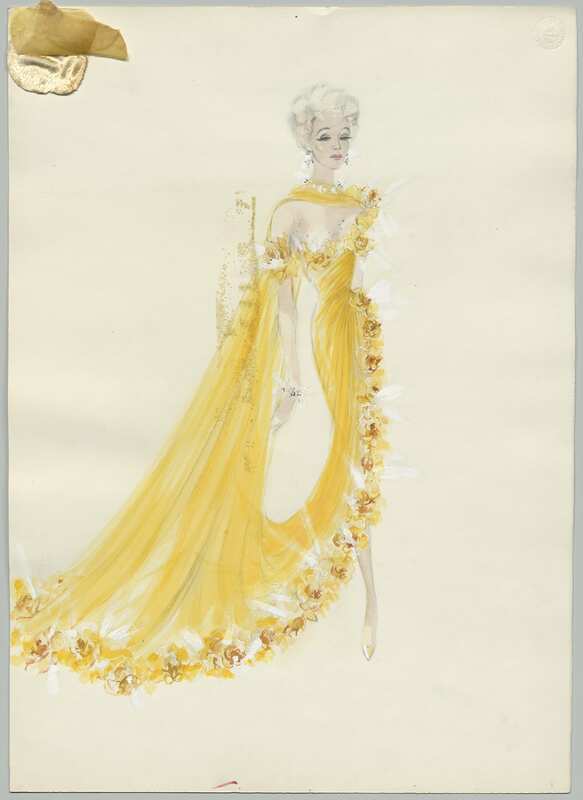 The archive has preserved over 300,000 pages of written material related to her personal and private affairs, including more than 45,000 pages of correspondence, 16,500 photographs and over 3,300 textile objects. These are available for viewing at the Deutsche Kinemathek. 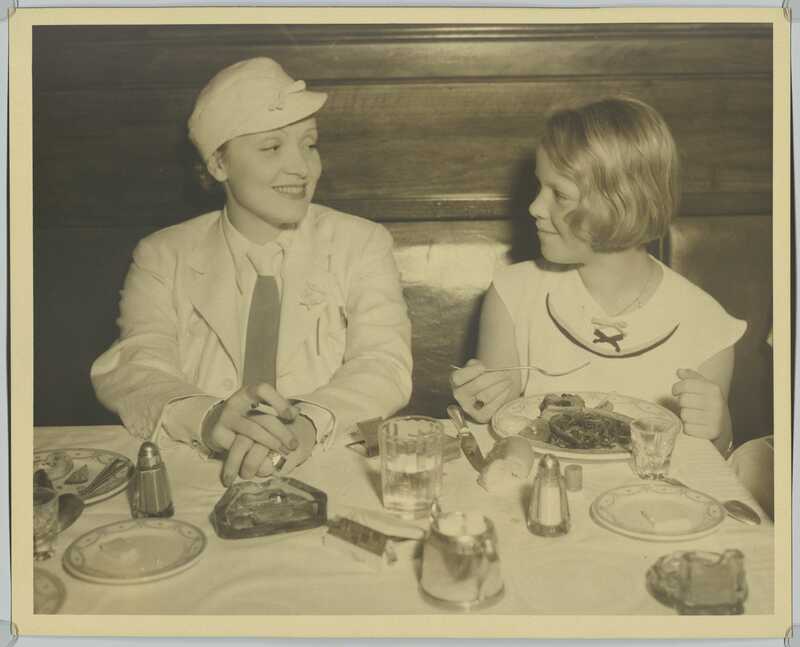 We are now exhibiting a portion of the Marlene Dietrich Collection Berlin online, with photos from Marlene Dietrich's childhood in Berlin, photographs of her volunteer work during World War II and numerous costumes and costume designs. 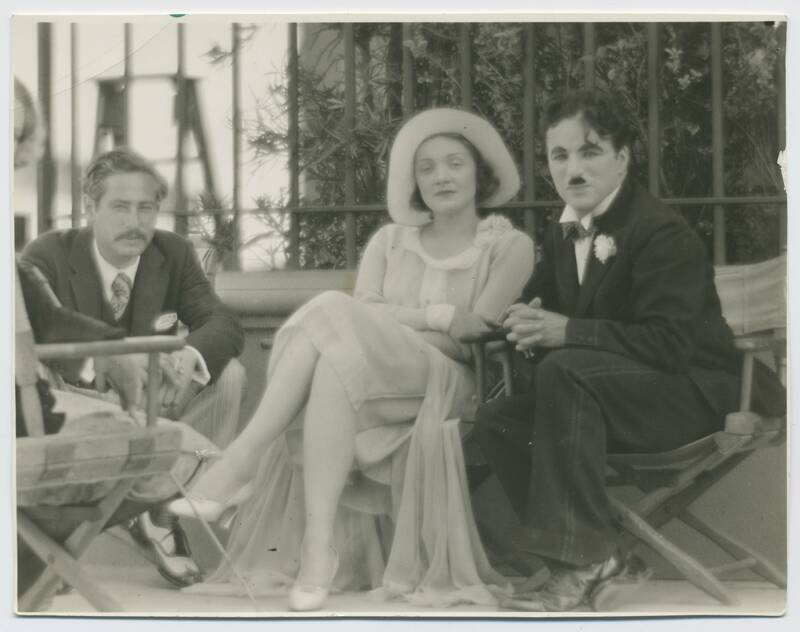 The generous support of the Berlin Senate Committee for Culture and Europe and the Förderkreis des Museums für Film und Fernsehen has allowed us to digitize roughly 1,500 objects from the archive in 2017 and 2018. The work was undertaken with the aid of the research and competency center of digitization Berlin (Forschungs- und Kompetenzzentrum Digitalisierung Berlin). 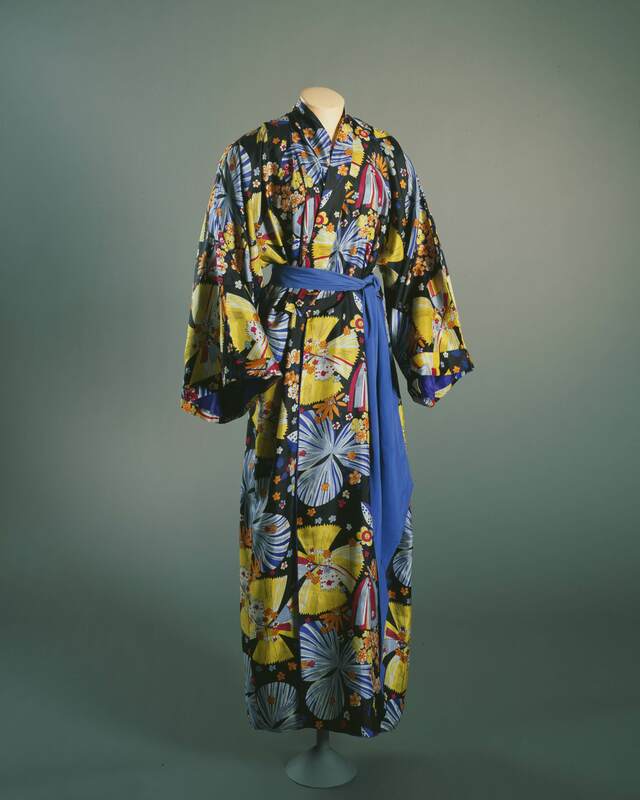 The catalog of estate items available online is intended to grow continually, with the bulk of the corpus coming through photos, 3D and textile objects whose legal status for online presentation has been clarified. If you are interested in other materials or topics, you can contact us here in the Archive about the possibility of viewing the originals. We look forward to your visit. Rights: This image was taken by a soldier or employee of the US army as part of their official duties. 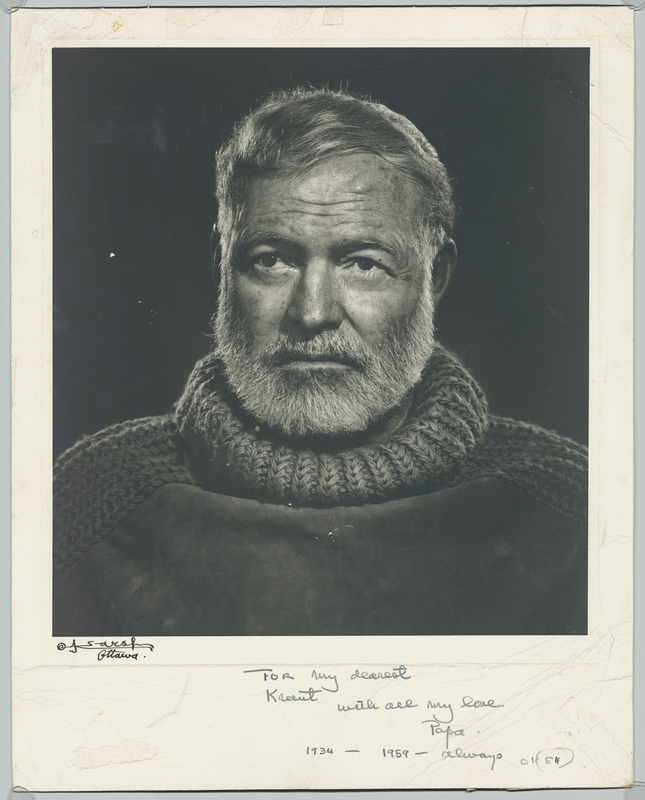 As a work of the US government, the image is in the public domain. 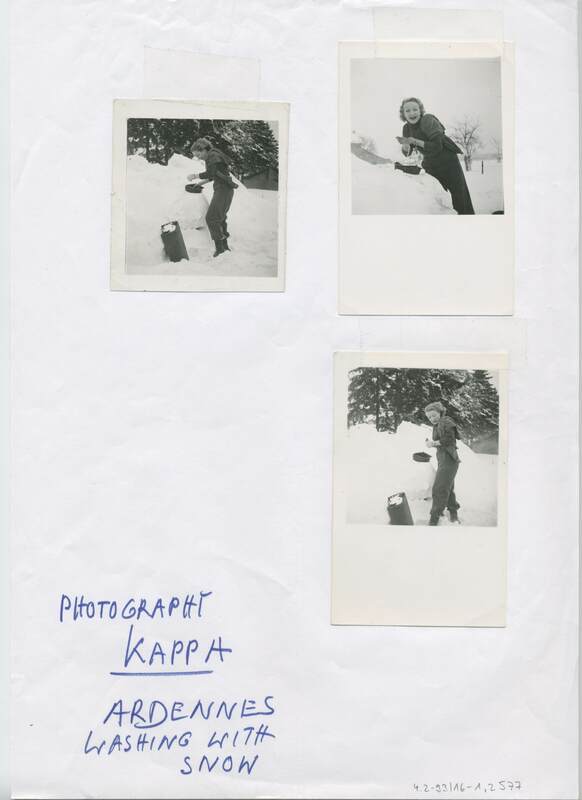 Photograph from Beate Klarsfeld, with dedication dated 8 August 1985: "For Marlene Dietrich in tremendous admiration of a brave anti-Nazi fighter and magnificent actress". German/French journalist Beate Klarsfeld was herself known for her dedication to the pursuit and clarification of Nazi crimes. 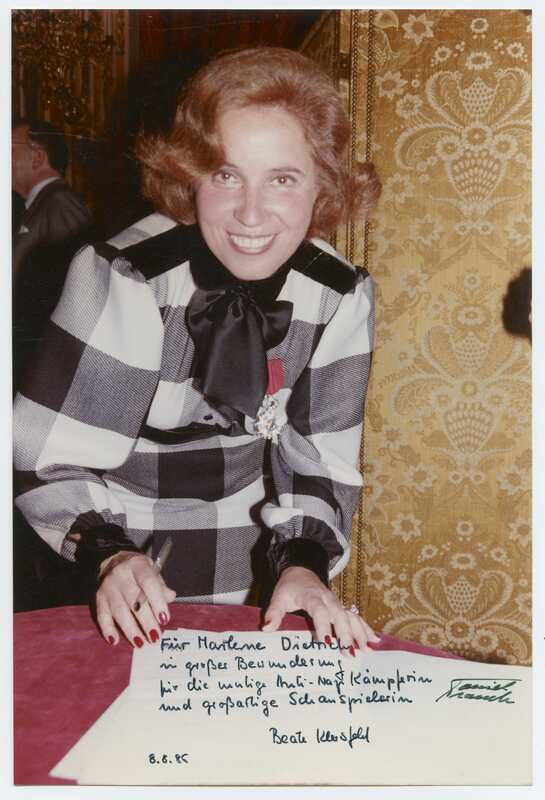 The photo was taken in 1984 as part of a program honoring Beate Klarsfeld by French president François Mitterand as a "Knight of the Legion of Honor". "Washing with snow" in Ardennes, January 1945, with handwritten comment by Marlene Dietrich from the 1980s. This work is copyrighted. With friendly support from the International Center for Photography, New York. 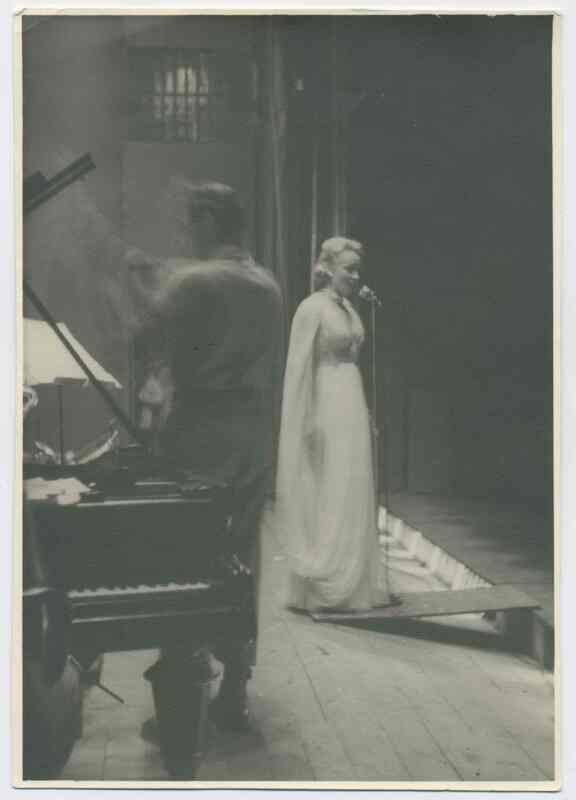 Marlene Dietrich during a performance in Pilsen, in liberated Bohemia, where the US troops met the Red Army in May 1945. The performances were open to American and Russian soldiers. Promotional photo, created during film production for The Lady is Willing (USA 1941, Director: Mitchell Leisen). Marlene Dietrich's handwritten comments on the photo editing date from the 1980s. 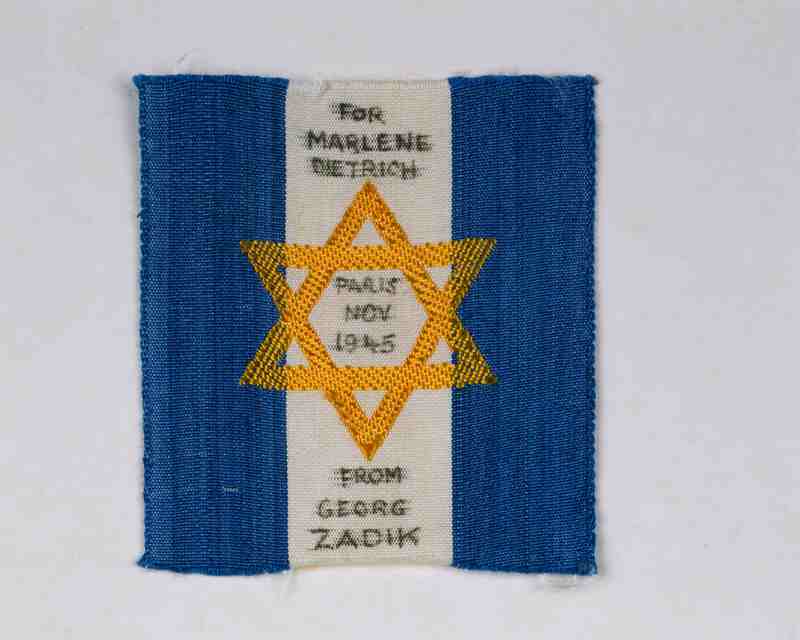 Fan gift to Marlene Dietrich: Badge with a Star of David and the dedication "For Marlene Dietrich – Paris Nov. 1945 – from Georg Zadik"
Costume design of a black show dress with rhinestones and sequins, including coat and fur trimming, Los Angeles, ca. 1953. 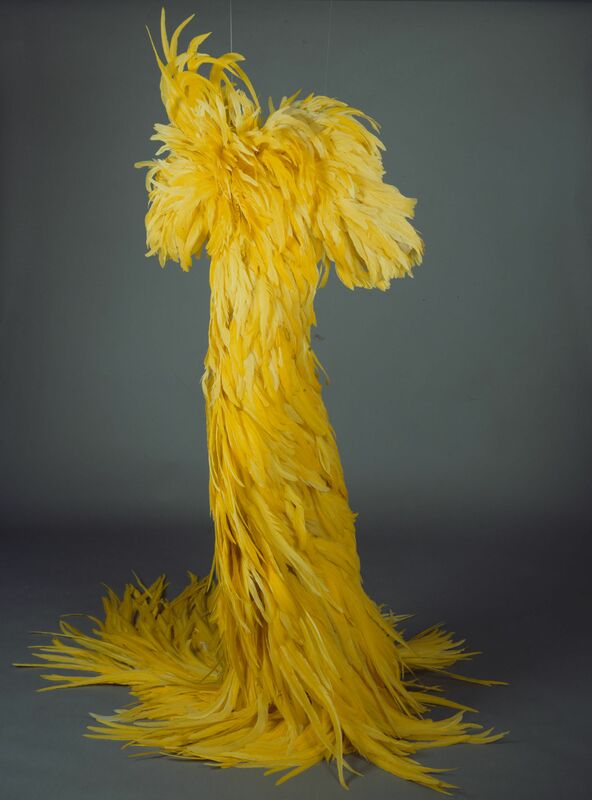 The costume, prepared by Elizabeth Courtney, was worn by Marlene Dietrich to her first engagement in Las Vegas, 1953. 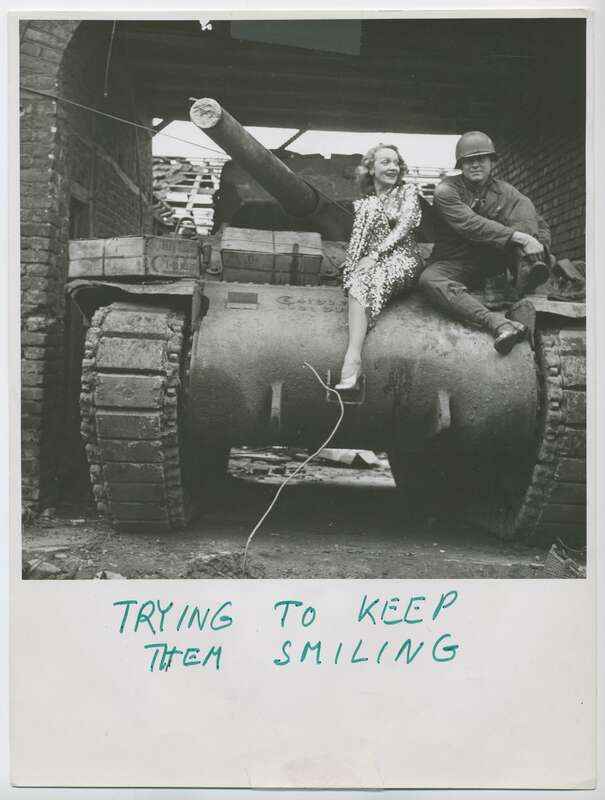 Marlene Dietrich in a performance costume, on a US army tank in Gillrath bei Geilenkirchen in February 1945. 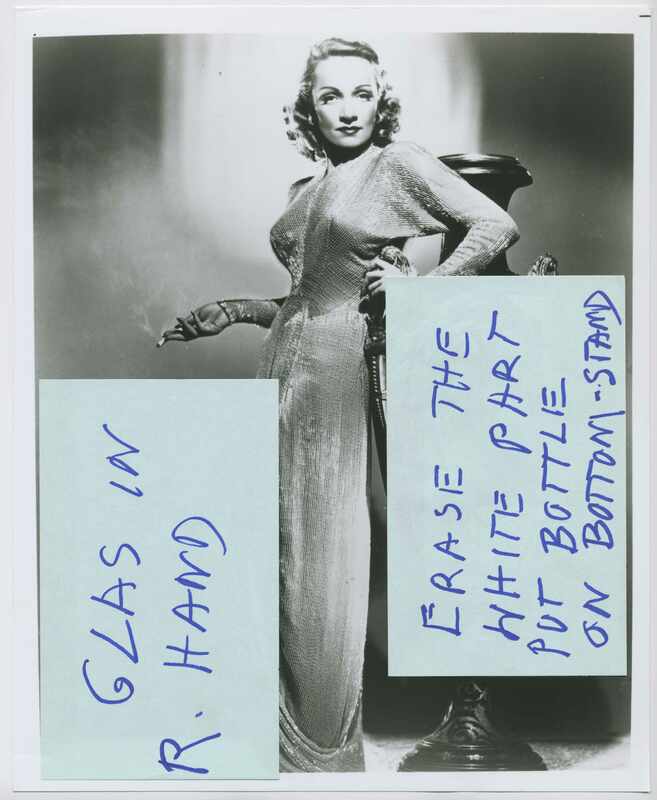 The handwritten comments by Marlene Dietrich are from the 1980s. This limited version of the MDCB provides roughly 1.500 records for research use. Please contact us should you need to search through the full archive. Marlene Dietrich's extensive estate has been housed at the Deutsche Kinemathek since 1993. 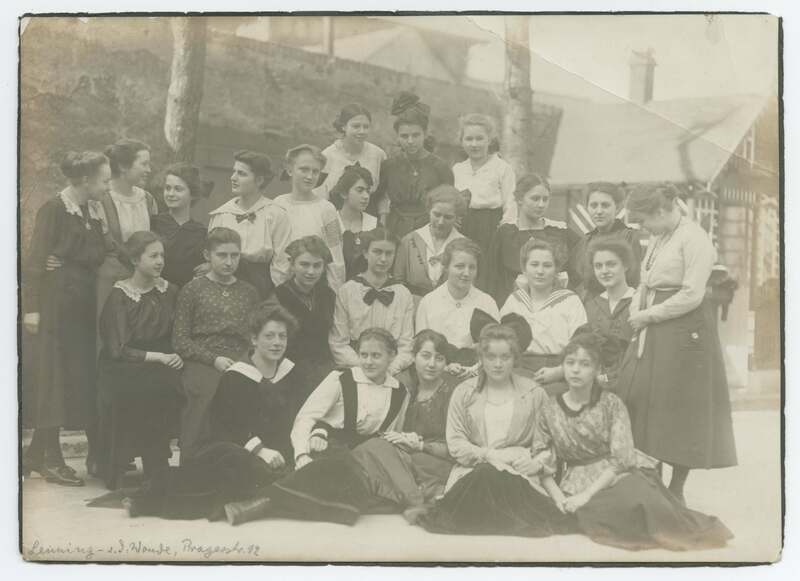 The entire archive is completely indexed and secured and has been at least partially digitized. 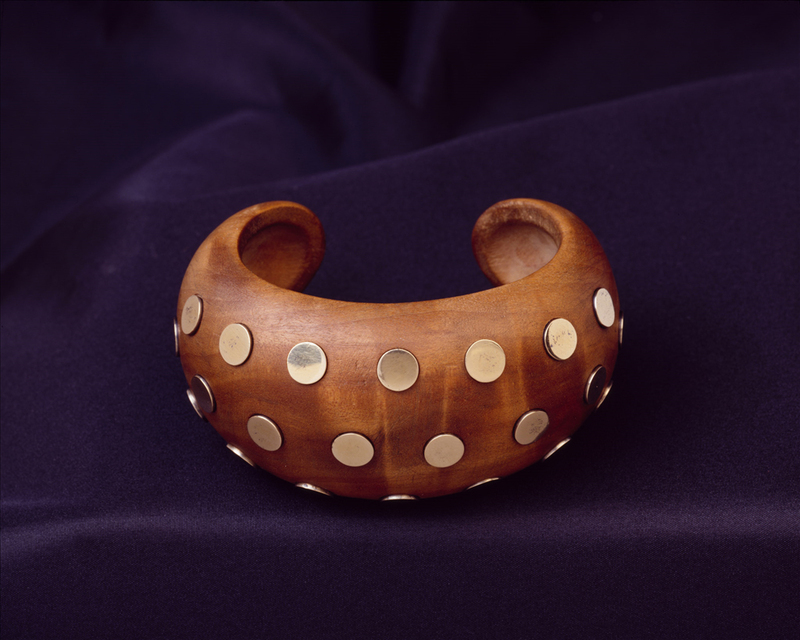 New collections are also being acquired on an ongoing basis to expand our holdings. The collection can be viewed upon advance registration with the Deutsche Kinemathek. Certain prominent or highly notable items have been put into the Permanent Exhibition for viewing. We look forward to your visit. Marriage to Rudolf Sieber; the marriage would last until his death in 1976. Marlene Dietrich becomes first woman to be decorated with the Medal of Freedom, America's highest civilian commendation, by Major General Maxwell D. Taylor. Marlene Dietrich is decorated by France as a "Chevalier de la Légion d'Honneur"; in 1971 President Georges Pompidou raises her to status of "Officier," and in 1989 President François Mitterand further elevates her to "Commandeur"
Marlene Dietrich passes away in her Paris apartment. 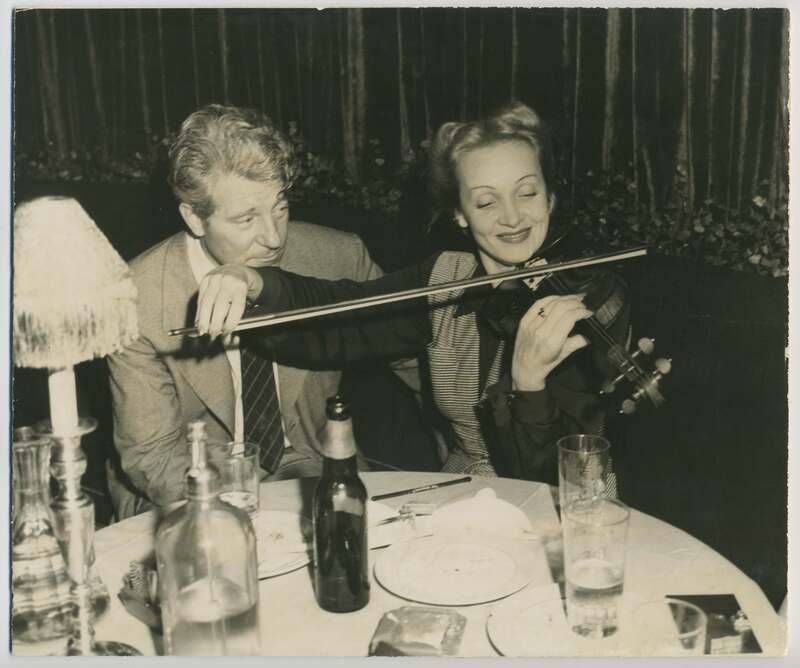 Online presentation of "Impressions from the Marlene Dietrich Collection Berlin"
Our thanks go out for the generous contributions of the Berlin Senate Committee for Culture and Europe and the Friends of the Deutsche Kinemathek. 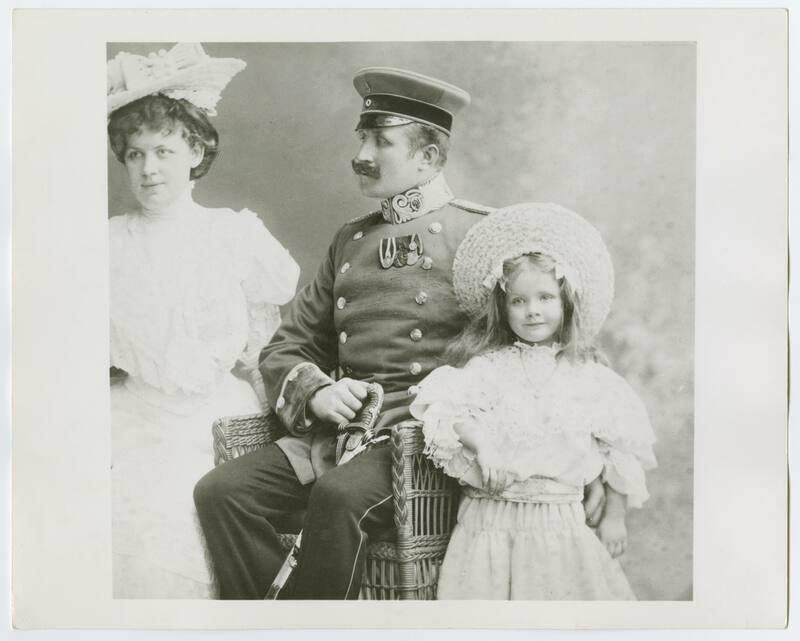 Their support has allowed us to digitize roughly 2,000 objects from the archive in 2017 and 2018 with the aid of the research and competency center of digitization Berlin (Forschungs- und Kompetenzzentrum Digitalisierung Berlin). 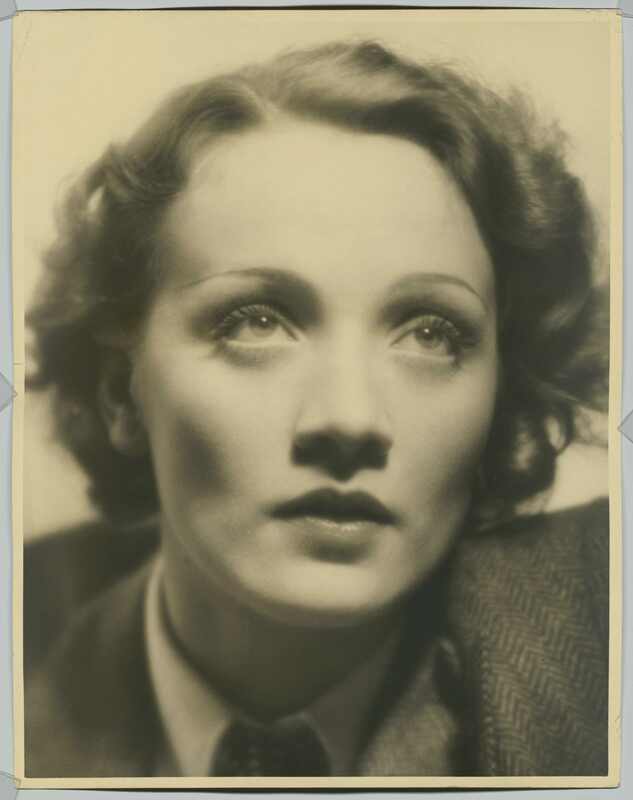 All materials published as part of the online presentation of the "Impressions from the Marlene Dietrich Collection Berlin" exhibit are copyright protected and may only be reused by third parties with explicit written permission.